Football is just a game of its kind. Billions of people watch the game on a daily, with fans hoping the best for their favorite teams. Football fans will always cheer for a team that is more organized, a clear call for the coaches to know that they must keep their team in order to create a good impression, actually, not just for the sake of the fans but also for the sake of everyone available at the game scene. 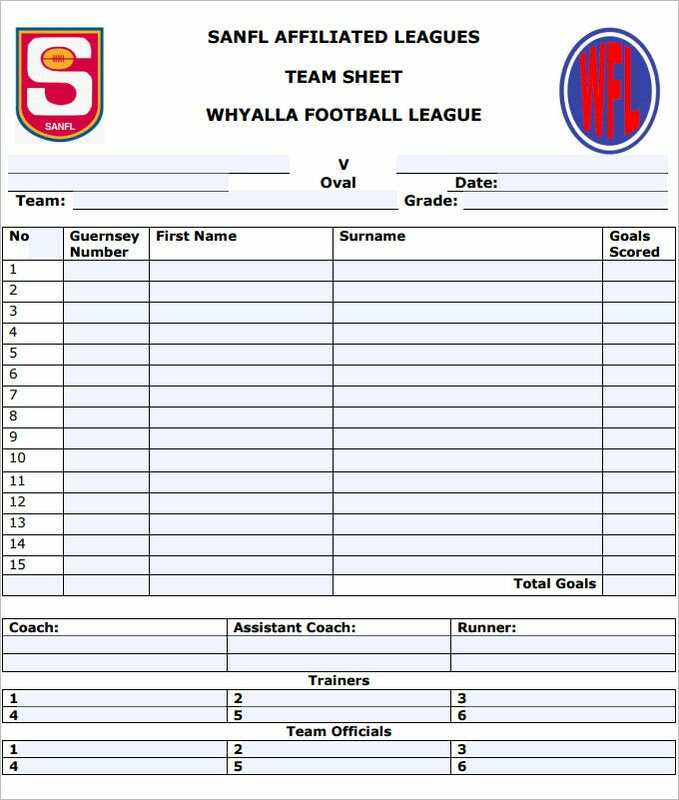 Using a Football Team Sheet Template can help coaches keep their teams organized from the start to the end of the game. 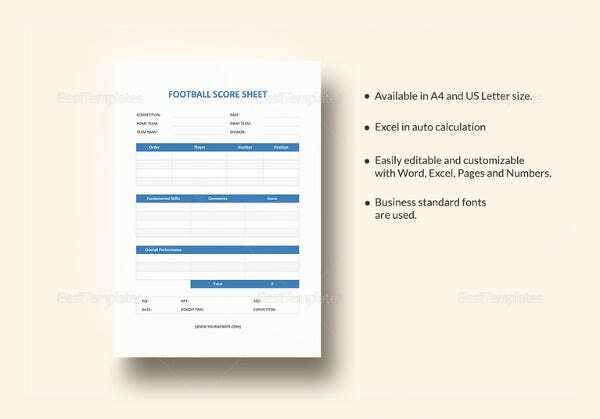 The Football Team Sheet Template may be useful in the following ways. 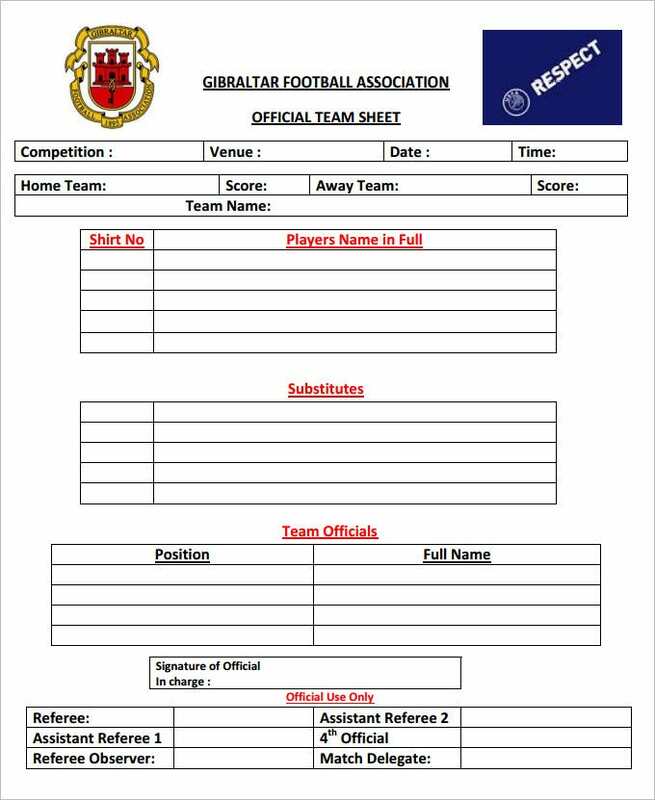 The Football Team Sheet Template can help the coaches to create a list of players, who will be starting the game (playing in the first half). This is a professional way to organize your team. There is no longer a need to choose players off the top of your head. 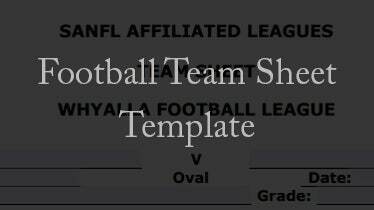 In fact, the sample templates eliminate the need to ever do so. 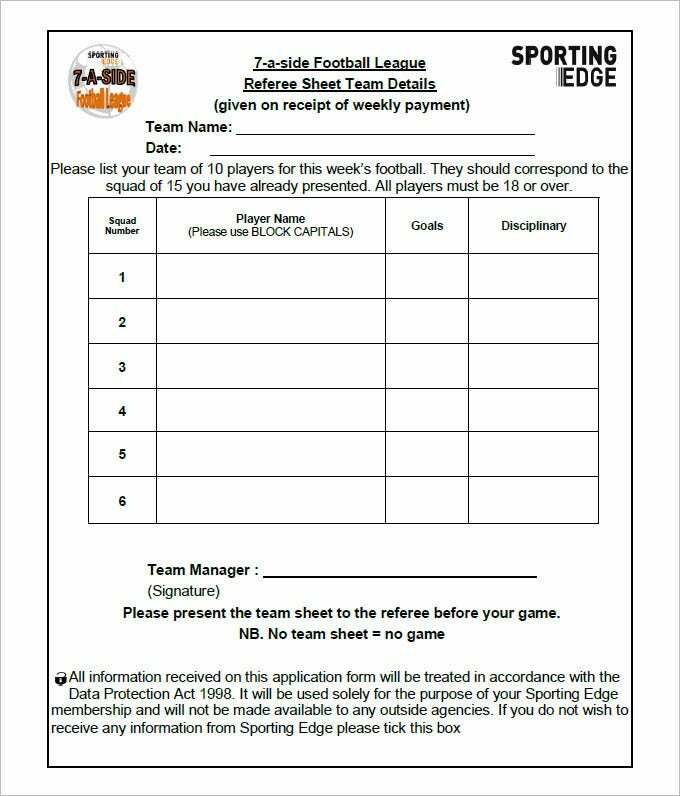 The coach can use the template to call out the players who will be taking part in the final half part of the game. Of course, quite a good way to stay more organized as a football team. 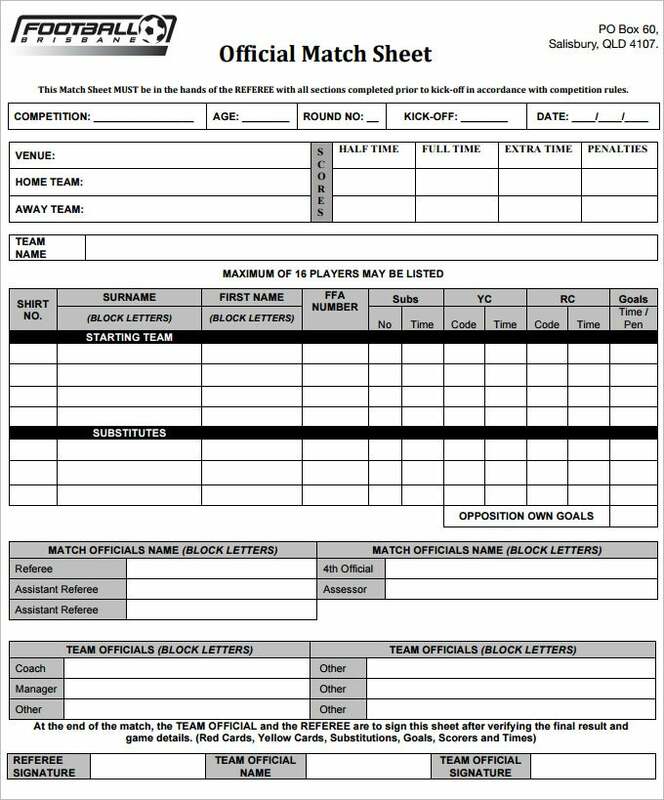 See more: Call Sheet Templates, Balance Sheet Templates If you have any DMCA issues on this post, please contact us!